In July 2011, Ergoresearch proceeded with the erection of their new Complexe ERGO located in Laval, QC. It holds company headquarters, general and a foot orthotics clinics and the entire research, development and manufacturing activities of the company. These new infrastructures are a cornerstone in the firm’s future growth. 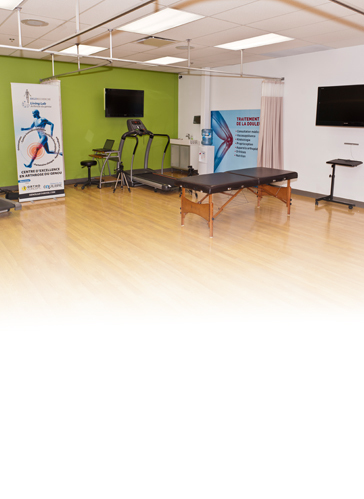 The complex houses North America’s very first Living Lab for knee osteoarthritis where one of the day’s most important healthcare issues is addressed. The widespread prevalence of this disease, the prohibitive costs associated with its treatment and the absence of efficient solutions triggered the major investments required on this project. Management recognized a genuine business opportunity that would guarantee the company’s future. To ensure the success of this particular project, Ergoresearch developed analysis and assessment platforms of the musculoskeletal system’s biomechanics and adapted, according to requirements, integrated management software programs (IMS/ERP). The company does not hesitate to use free software, innovative computer technology and virtual assistants to streamline its activities. All this development, along with clinical evidence collected at the Living Lab, will lead the group to continued organic growth and success in its acquisitions program. Osteoarthritis is the most common type of arthritis and one of the leading causes of functional impairment. This disease can occur at any age – aging however being one of its leading risk factors. The occurrence of osteoarthritis generally appears around age 50, and its prevalence increases with age. 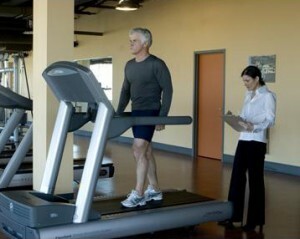 Knee osteoarthritis is within Ergoresearch’s perimeter of activities. Its pathology mostly interests healthcare professionals who are already in touch with the firm’s activities. WebFit® gonosteoarthritis foot orthotics, manufactured exclusively by Ergoresearch, have in fact shown remarkable benefits in patients afflicted with the disease. All existing treatments aim to slow the evolution of the disease and relieve pain, but no cure has been put forth to date. For the time being, surgery alone has provided good results. It is nevertheless very expensive (over $40,000), invasive and rehabilitation is often quite lengthy. Generally, orthopedic surgeons recommend surgery only when mechanical and metabolical treatments (anti-inflammatories, corticosteroids, etc.) no longer offer functional improvement or pain relief. An arsenal of non-pharmacological treatments is nevertheless available: Physiotherapy, weight loss, viscosupplementation treatments, walking aids, foot and knee orthotics. Despite the thirty or so available treatments, not one provides outcome results above the 0.8 mark – the threshold beyond which pain relief is rated as significant. The consequence is tragic for patients who must next turn to a number of healthcare professionals for additional advice and treatment. Steps are complex, long and generally inconclusive – and further aggravate an already taxed healthcare system. Introduces active technological monitoring and continuing education to all professionals involved. The Living Lab comprises medical specialists, general practitioners, kinesitherapists, orthotists, physiotherapists and nutritionists. The team’s priorities are to reduce patient suffering, improve their quality of life, increase their activity level and delay – or avoid – surgery. The concept aims to provide support for patients afflicted with osteoarthritis. The proposed approach includes either one or the other or often a combination of the treatment methods available. The treatment plan (also called — the collective prescription —) offers patients an optimal effect size and a decrease of pain as quickly as possible. The concept aims to take charge of patients suffering from osteoarthritis. The approach proposes one or often a combination of several treatments. A treatment plan (also called group prescription) ensures that a patient benefits from optimal range of motion, and a rapid decrease in pain. The Living Lab principle hinges on the application of new technologies. Qualifying patients are invited to join various research projects. At the very core of its concept, the center defines itself as the first Living Lab devoted to osteoarthritis. It offers the advantage of allowing new technologies to be developed in a rigorous clinical setting, where tangible patient benefits remain the core preoccupation of the entire team, guiding their priorities. The Ergoresearch approach rests on the integration of existing technologies, innovation and developing new technologies. The addition of artificial intelligence into traditional clinical processes combined with the application of the latest, most efficient methods contribute to making this concept totally unique. This translates into state of the art pain relief for osteoarthritis sufferers. The project rests on developing a network of collaborators. A number of alliances have been concluded with public research centres and private businesses. Institutions such as Université Laval, the new Center de solutions technologiques en orthèses & prothèses (CSTOP) affiliated to Collège Mérici in Québec City, are also involved. Other alliances have been established to develop an expertise pool – le Centre collégial de transfert de technologie (CCTT), le Centre d’excellence des technologies textiles in Saint-Hyacinthe (CTT) and le Centre collégial de transfert technologique en optique-photonique in La Pocatière (OPTECH). A number of other strategic alliances have also been extended to private businesses in information and communications technology, and in pharmaceuticals. A well-known fact is that our healthcare professionals’ training and culture offer little incentive for interdisciplinary work. For this reason, professionals at Ergoresearch are placed in select groups, where they are encouraged to share their vision and expertise, and reach compromises in creating patient treatment plans. The spirit of collegiality that prevails among our healthcare professionals has led to improved personal practices and broader group intelligence – the skills pool among players being far greater, and practices clearly standardized. Streamlining clinical practices and convincing scientific data is imperative – protocols for the Living Lab’s success are in fact the ongoing redistribution of knowledge via the company’s network of subsidiaries.